DSP, Ike Ekweremadu, has stated that the country is better together and should not be dismembered as some secessionist groups are demanding. The Deputy Senate President said this after delivering a lecture on “Constitutionalism and the challenges of leadership in Africa: an evaluation of tested models”, in New York, United States. 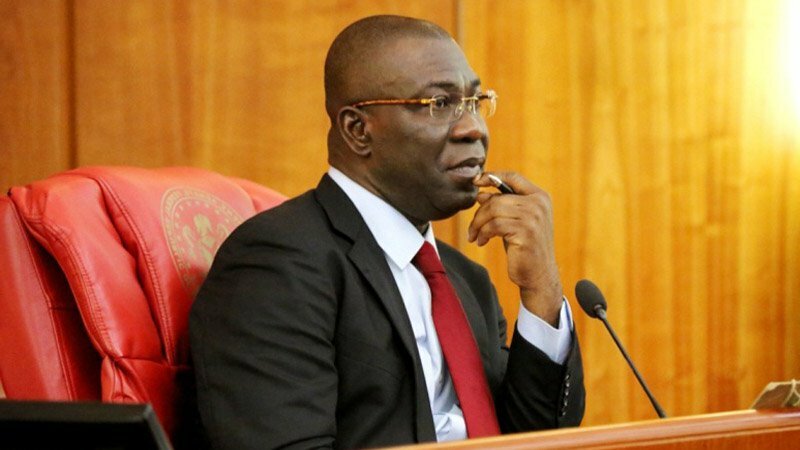 Ekweremadu also stressed the need for the country to be restructured from the current over-concentration of power at the centre, which was non-responsive to the citizenry. He noted, “Nigeria does not require to be fragmented at this time. There is joy in being together. There is benefit in being together. “There is advantage that is conferred on us as a country by our large population. What we need is giving everybody a sense of belonging and ensuring good governance. “The central government that once appeared necessary and beneficent has compromised, even jeopardized its standing by perceived highhandedness, unfair treatment of some ethnic groups and abuse of power. "The powerful central government has made citizens vulnerable to bureaucratic manipulation and control and left them powerless, and reminded them at every turn that the promise of self-government has been eroded. “Nigeria, and indeed African constitutions, should espouse federalism characterised by weak centres and strong federating units. “If we start this process, it will assure the agitators that there is hope for a better Nigeria. "We must continue to assure that the best way to go is restructuring, not dismemberment of the country. “The East will be the hub of industrial manufacturing and scientific innovations while the Middle Belt will be the hub of solid minerals development and tourism.